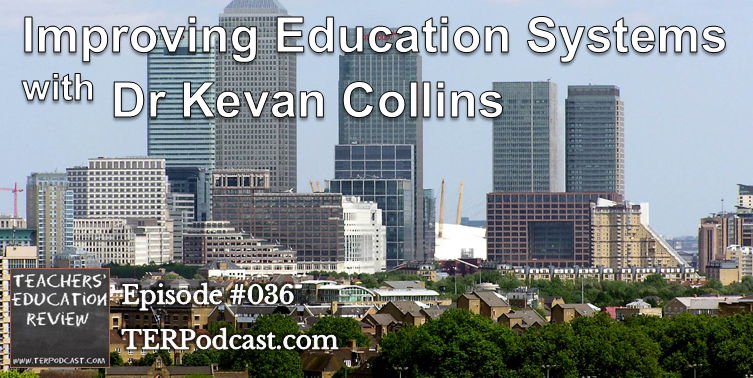 Main Feature: Dr Kevan Collins, Chief executive of the Education Endowment Fund in the United Kingdom, speaks to Cameron about his experiences as an educational leader in a disadvantaged area of London, and about his current work in school-based educational research as the CE of the EEF. Dr. Collins was in Australia in October as part of Social Ventures Australia’s Dialogue Week. 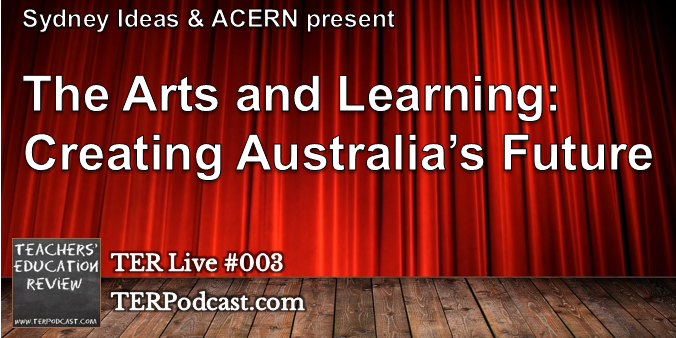 Presented by Sydney ideas and ACERN, this TER Live podcast includes a recording of the forum ‘The Arts & Learning: Creating Australia’s Future’, in which a panel of experts discuss the Arts in Education in response to the review of the Australian Curriculum recommendations to reduce Arts education in schools. 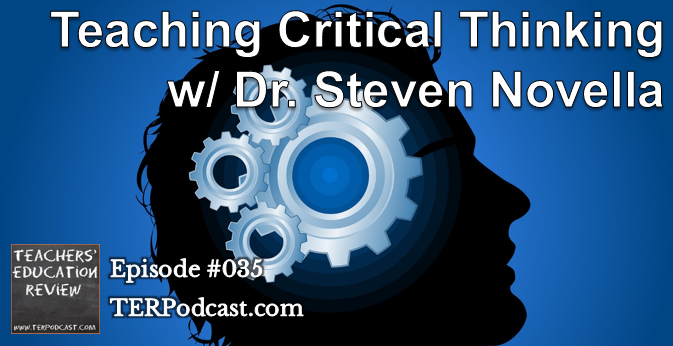 Main Feature: Dr. Steven Novella speaks about Critical Thinking. What it is, how to teach it, and the potential benefits to individuals and societies that value critical thinking. 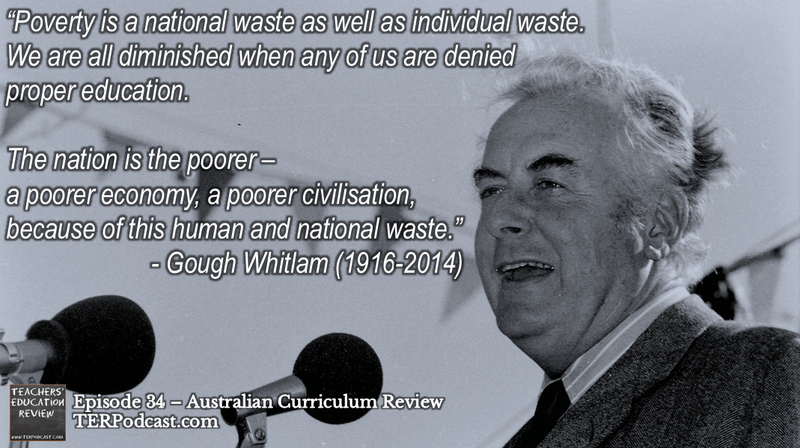 Main Feature: Cameron speaks with three Australian academics about the final report on the review of he Australian Curriculum. Dr. Nicole Mockler from the University of Newcastle talks about the broader issues of curriculum, Dr. David Zyngier from Monash University talks about the review process and the political and cultural issues raised in the report, and Dr. Michael Anderson from the University of Sydney talks about The Arts in the Australian Curriculum. 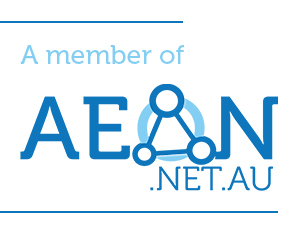 Regular Features: NEW FEATURE! Listener feedback returns with teachers sharing their insights on last episodes main feature; Dan Haesler proposes four key questions to ask of teachers in ‘Off Campus’; Teachers talk about the teachers who impacted on their own lives in AITSL’s Teacher Feature; Cameron reflects on issues of Equity and Access to education in Education in the News.